Robert Farrington is a paid influencer for H&R Block. All opinions are his own. 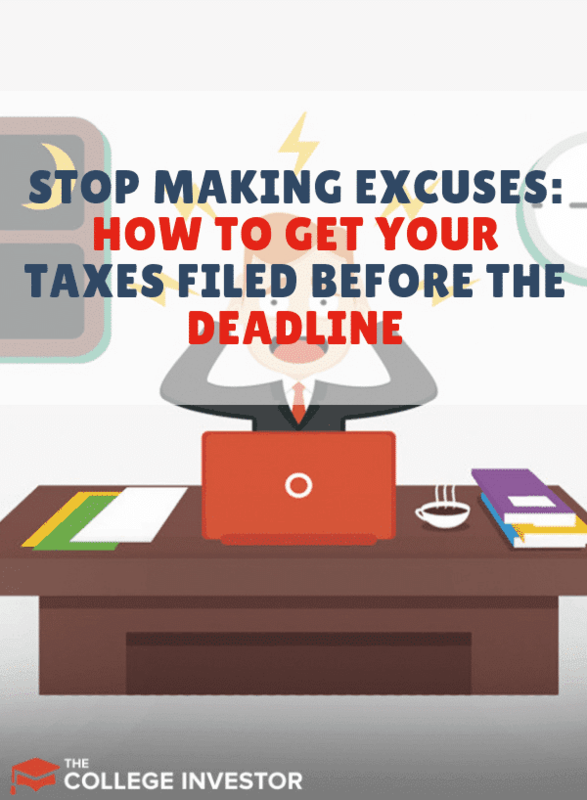 Have you been making excuses to get going on your taxes? Maybe you don’t have time, or the right documents, or you’re just afraid you’ll mess something up? Maybe you’re a first time freelancer trying to figure out how this tax stuff works. Or maybe, just maybe you hate doing taxes, so you always put it off. No matter your situation, these are tips to help you get through April 15th with your sanity mostly intact. Don’t let any of these issues stop you from simply getting your taxes done. I hear the phrase - “I just don’t have time” way too much when it comes to taxes. But for most people, you can probably get your taxes done in 30 minutes or less. Seriously - it doesn’t take that long at all to file a basic return. As long as you know your name and personal information (and maybe that of your kids and spouse), then the rest is just data entry from the forms you receive. If you have a complex tax situation, you can still get your part done in minutes with a tool like H&R Block Tax Pro Go. You can spend 5 to 10 minutes entering your personal information and let a tax professional do the rest! Organization (or lack of it) is the biggest reason people wait to file their taxes. For many, it can be daunting to figure out what you need to have to do your taxes. If you’re newly self-employed, or you have a side business for the first time, this can be a challenge. Honestly, even if you’ve been at it for a number of years, filing can be complicated. But you can mitigate the pain by getting all your tax documents in one location. Personally, I prefer to have all my tax documents in a digital file. When I get a physical tax (or tax related) document, I immediately scan it and put it in a digital folder. In past years, I’ve also maintained a tax binder where I can store all my important tax documents throughout the year. Simply having all the documents in one place makes it much easier to start using tax software to file taxes. Pro Tip: if you can get all of your documents together, you can upload your documents using H&R Block Tax Pro Go and let a professional handle the rest. That makes tax filing easy! Another comment objection I hear to filing taxes is that you’re scared you’re going to make a mistake. First, realize mistakes happen. The IRS understands that, and if you do make a mistake, they’ll work with you to correct the issue. The IRS is not the boogeyman. They are humans too, and most actually do want to help you. I’ve personally made mistakes on my tax return. A couple years ago I double-entered estimated taxes paid. Guess what? The IRS didn’t even contact me. They simply fixed the error and sent an adjusted return. A week later, I received a letter telling me what mistake I made and how they fixed it. No big deal! But before you even go down this path of fear - try entering your tax information and see how easy it is! Seriously. Software like H&R Block Online makes navigating your taxes easy. They have built-in error checking and their software will navigate you to what you need to know. If you’re still concerned, you can have a pro review your taxes with H&R Block Tax Pro Review. They will double-check your return, and then sign it and eFile it for you. It can really take that fear away! The most important thing to understand about tax procrastination is that you MUST file your taxes if you want to avoid a failure to file penalty. The penalty for failure to file is STEEP. The penalty is usually 5% of the amount due for each month or part of a month your return is late. The maximum penalty is 25%. Luckily, there’s a well-advertised loophole called a filing extension. You can file IRS form 4868 to get an extension for filing (until October 15th, 2019). You can file this form for free using software services like H&R Block (which is handy because after you file the extension, you need to start your taxes). The form 4868 requires an estimate of your taxes, but it doesn’t have to be right. It’s best to err on the side of too high an estimate rather than too low an estimate. So, if you can’t get your actual filing together on time, file for an extension today with H&R Block Online. By filing your taxes (or requesting an extension), you’ll definitely avoid failure to file penalties. However, you’ll still be on the hook for failure to pay penalties if it turns out you owe money. As a self-employed person, I’ve been known to put off tax filing because I knew that I owed the IRS a large sum of money. It’s great that I earned enough to owe a bunch, but in my first year of freelancing, I wasn’t vigilant to set money aside for taxes. The result was a large tax bill that would take up nearly two months of income to pay. Yikes! 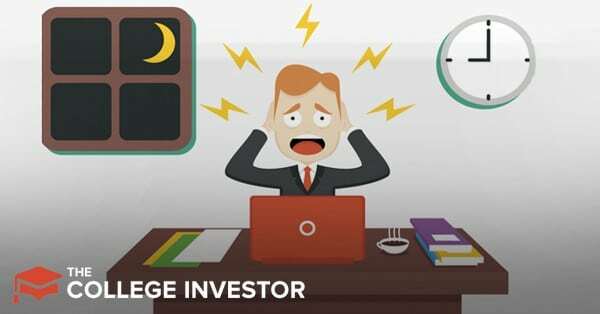 To cover the cost, I dipped into my emergency fund which allowed me to avoid paying penalties. Moral of the story? If possible try to pay your taxes by the April 15th tax deadline. If you’re not sure how much you’ll owe, start entering the information you have on H&R Block Online and you can see a running estimate in the corner of the screen. If you opt to file your taxes using online tax software, you may want to choose upgraded services that allow you to speak with CPAs or tax professionals. H&R Block not only has assistance where you can call in and get help, but they also have tax professionals that will do your taxes for you - this is called Tax Pro Go. If you run into last second questions, it’s worthwhile to upgrade your service to talk with a professional. These upgrades don’t come cheap, but when you’re taking it down to the wire, it’s probably worthwhile. Tax filing comes every year, and it’s okay to scramble to file taxes this year. You can always amend your returns if you screw something up. But with a little bit of organization and regimentation, you can be more prepared next year.